Everything is perfect except for 1 thing, I'd switch Bill Russell and LBJ, Bill's stats, finals wins, and the fact that if they counted blocks in his era he'd average about 10 a game. Bill revolutionized the game and the center position. Thanks, Liam! I can definitely see why you would do that but like I mentioned at this point I think they're close enough in everything besides championship titles that I'd give the edge to LeBron. How would you answer the question I briefly mentioned, although not specifically between LeBron and Russell: who would you rather build a franchise around? I agree with Liam. Russell was the ultimate glue guy, whose talents meshed with anybody. He won with scoring points and defensive points. He was the singular constant on a team that won more than anyone else. Winning 5 MVPs despite never being more than the 3rd offensive option at best shows just how spectacular a player he was. Also, I disagree with your premise that Russell was in a watered down league. There were fewer teams, but all of the teams were stacked compared to the teams today. Plus, it's not like Russell didn't have any competition at his position back then. That's exactly how I view LeBron - who was able to get to the Finals with a bunch of nobodies. So while I agree that glue guys are very important, I don't think that they can be valued as highly as someone as LeBron. I think of Russell kind of like I think of Ben Wallace. A great defensive center who was critical to championships but didn't have the same ability that LeBron has shown to lead his teams there offensively and defensively. And what makes you say that the teams were stacked? In the early days of the NBA, it wasn't as competitive because greater players didn't have to compete against the same huge pool of concentrated talent. Think of it like this, more teams = more chances for him to lose, too. Russell facing less teams and less players meant that he could beat up on them more regularly. Like I asked Liam, would you really rather build an organization around Bill than LeBron? Surprisingly, this was a very solid article. So I guess I'll start with some of the stuff I [shockingly] agree with. LeBron is probably #5 or #6 at this point (I may switch him with Russell), but he is absolutely a top 10 player. His stats are incredible, and even though he is still a pretty young guy, he has already played 10 full seasons (going on his 11th), which is as much as many of the top players of all time. He also has two championships and two finals MVPs. Admittedly, his stinker in the 2011 finals was pretty bad, but he has done enough since then to make up for it. Good to see Hakeem jump into the top 10... He was an all-around monster. I actually might even flip him with Shaq, just because he was a significantly better defender than Shaq. For his size, Shaq was never a dominant defender, and when you're looking at top 10 players, you want them to be successful at both ends. Now, in regard to my disagreement, you might guess that it is the absence of Kobe in the top 10. This really just relays back to my comments in your Duncan v Kobe article, and Duncan's recent NBA finals appearance hasn't done anything to change that for me. At the end of the day, Kobe has played 17 seasons, has won 5 championships (with 2 finals MVPs, which isn't very few at all), and has been dominant on the offensive and defensive end. Since 2005, he has played with one very solid big man (and Pau is not a hall of famer... his stats are comparable to somebody like Chris Bosh, Z.Bo, Lamarcus Aldridge...), a whiny center who has flamed out completely since leaving LA, and, for one season, with an all-star center coming off of back surgery. His teammates haven't been bad, but the idea that Kobe has played with a cast of all-stars his entire career isn't really true when you examine it closely. He has had 5 coaches in 8 years, actually, including two of the worst coaches in the NBA of the previous four years. Right now, the Lakers might be the most talentless team in the NBA. Ten years from now when people discuss Duncan's career, a word that will come up often is "consistency". This is true both of Timmy D's stats and of his surroundings. He has played his entire career with one coach, who is widely regarded as the greatest coach in the league not just for his tactics, but for the culture he creates. For the last 10 years, he has developed along with two borderline hall of famers (Parker & Ginobilli). These players have thrived because of Duncan, and Duncan has thrived because of them. This shouldn't necessarily be held against him, considering that he has been a big reason why the Spurs have been so consistently good. But his coach and teammates have a huge role in that as well, and that's something that gets lost in the shuffle. So, I would put Kobe 10th and Duncan 11th. Great Article as I said before I like the way it was set up traditionally. Where you actually compared the players almost like a preface and used it as a basis to set up your rankings. I would like to say that most of the time lists are subjective, opinionated but you have your general consensus out there. I think one of the biggest all time debates is Shaq vs Hakeem. Such different styles, and different type of dominance but such a great debate. On one hand Hakeem dominated Shaq just about every time they faced eachother. But anybody could bring up the fact that Shaq was at his peak (best of career) dominance with the early 2000 Lakers. The Shaq that Hakeem dominated was a much different player. It would be a great matchup to see peak Hakeem vs peak Shaq. As historically great of a defensive player I'm not sure he would be able to stop the sheer force of Shaq. Great offense beats great defense 9/10. I def thought Hakeem was the more all around skilled, or balance (defense + offense) but Shaq was the more sheer dominant. 30+/11+ is crazy. They are almost 1A and 1B. A little off subject as for the list! It's not far out of the question but I'd still have LBJ around 10th. Only thing holding him back IMO is an added longevity of peak. He's already a top 11 Lock and I'd say as high as 8th. But one more MVP or Ring/Finals MVP could propel him into a top 6 lock. Alls Lebron really has to do is just keep playing at 25/6/6 level and he will climb fast. Thanks, Matt, and I'm assuming you mean the way it was set up non-traditionally? Or maybe you mean something different from what I think of as traditional with regards to GOAT ranking articles that usually just rank and talk about players. Either way, yeah, perhaps I will start a movement to change the way ranking articles are made! Haha. As for the Hakeem vs. Shaq thing, I think you're right on the money. I am perhaps a bit biased because Shaq was actually my first favorite player when he was on the Lakers in his heyday. My brother was an AI fan rooting for the Sixers and I was rooting for Shaq. 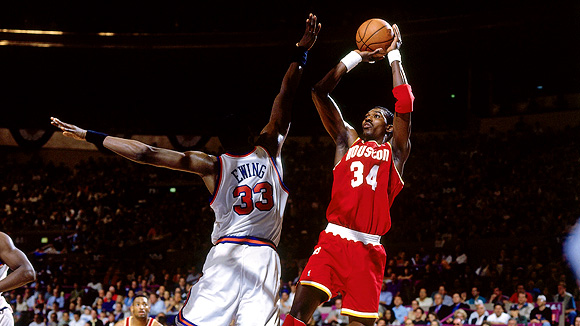 His sheer dominance at that time was incredible and it wasn't the skillset that Hakeem possessed. However, I agree that they're both extremely close (as you can tell from my ranking). LeBron in my eyes has already broke top-5 because he's done a little bit of everything and a lot of some things (regular season MVPs). I initially wanted to put him ahead of Larry but settled for this. I don't doubt he will surpass Larry before he retires. If you look at the numbers, LeBrons career totals are already remarkably close to Magic and Larry. I believe he will pass them in games only in a couple years (2016). argument is built too transparent, too casual-fan like. you'd have to dive really deep into circumstancial comparisons. like, which of the player's listed above got closest to winning without A) a legit co star and B) the weakest supporting cast. the only 1 you mentioned that won without a legit co star was Hakeem, but even his roster was far better than Lebron's rosters from 06-10. If you understand context, it says that it isn't fair to compare Magic Bird Jordan Kareem Russel Duncan or even Shaq to what Hakeem and Lebron accomplished. They all had great , established coaches as well as a roster that. Also, Lebron's effect on games certainly makes even Jordan's stats look empty. For 1, MJ led the league in shots attempted for I think 9 or10 out of 13 seasons, so it's no wonder he won so many scoring titles. Lebron played in a slower league (18-25 less possessions per game) and NEVER led the league in fg's attempted, while leading the league in fg's made 4 times. also, MJ's #'s decreased when his team started winning, compare his 3rd season to any of his title seasons while Lebron's hadn't changed while he was in Cleveland and his team got better almost every season. And let's be real, MJ averaged 22+ shot attempts per game he was selfish where as Lebron is scrutinized for not shooting more often yet he's still an outstanding scorer. Like many GOAT discussions, people use hindsight combined with no care to research the history behind the stats. After MJ's 1st retirement, the Bulls lost 2 more games. When Bron went to Mia, the Cavs lost 40 more (i think) and had the longest losing streak in NBA history. no disrespect to mr thomas above, but his comment is clearly attempting to be politically correct rather than brutally honest. russel isn't comparable to Bron or any of the guys above, because in their primes there are very very few players you could even put on their teams that could've taken away finals mvp. russell was a dominant defender, but he makes dwight's post game look like olajuwon. he didn't even shoot 50% throughout his career, and that has always been the norm for bigs even in those days. Accomplishments wise, yes Lebron is in a good place on your list. But in terms of true basketball value, I could make a real case he's #1 and has been for a while. You've really gotta have an intrinsic look at basketball though, like which shots are more important/favorable for your team, the rules of MJ's era and the current rules. For instance, the general consensus is that the handchecking era rules made it tougher than todays rules. Complete bs. I'd rather get handchecked a million times before I played a great zone defense like the 08 celts, the spurs or even the Pacers in a playoff series. also, in the handchecking era each defender had to stay within a close distance of every single defender as long as they were in the half court, so even if shaq went to the 3 point line, someone had to go stay above the freethrow line. that equals automatic floor spreading, easy isolation situations if you simply tell 4 players to go to the 3 point line. In that era, imagine Lebron with a 1 on 1 with no center infront of the rim. also, if a defender decided to double, he had to commit to the double. so let's say wade, bosh, allen and beasley are on the 3 point line and paul george is defending lebron. Lebron can easily get past him if Hibbert comes to double, Bosh will be open at the 3 point line every single time. 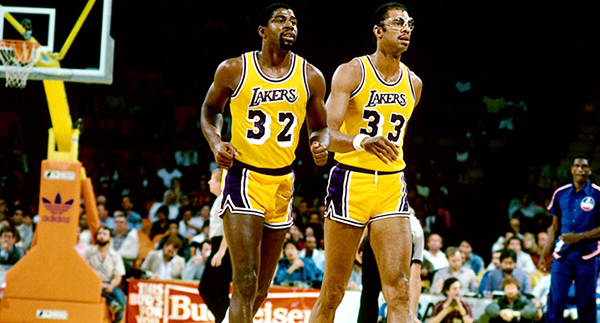 players could not shade between double teaming and their man in those days, or it was called illegal defense. I am a big LeBron fan myself. There aren't many articles nowadays with LeBron in the top-10, never mind top-5. A lot of that has to do with the hate that guys like MJ and Kobe have toward him (hatred, disrespect, whatever you want to call it). In true basketball value, I agree with you. A case could be made for LeBron at No. 1. For me, right now, I'd slate him at no. 2 behind MJ. But it's a toss-up for me. If you were to ask the plain and simple question, who would you most prefer to build a franchise around, my answer is either LeBron or MJ. The argument is built in a way unlike any other GOAT article I have ever read. I delved into it deeply enough to where it was an extensive article but my goal was also to retain the attention of the reader. Bill Simmons wrote a great Book of Basketball, but that's just it. He wrote a book. My goal with this article was to write a column that mentioned everything in enough depth to get a grasp of why I ranked who I did where I did and no more. Conciseness was critical - and the piece still managed to be 3000 words. I don't think I've ever said this before, because I am a LeBron fan myself, but you might be pulling off a bit too much in the LeBron homerism department. He's a beast, but in terms of sheer greatness, he needs some more time to climb up further. Oh and let's put that "further" in context. I already ranked him the fifth greatest player the game has ever seen. Surprisingly?? -____- C'mon man. Haha. Crazy to see you think so much of LeBron, I feel you've probably changed your tune quite a bit since the days of my first Kobe vs LeBron comparison. I might need to wake up tomorrow and re-read this because you just said LeBron James is a greater player than Kobe Bryant (No. 5-6 vs. No. 10). As for the Shaq vs. Hakeem debate, it's a tough one. I just see Shaq's championship resume as marginally outweighing Hakeem in terms of greatness. And just take a look at Shaq's field goal percentage! I know the guy was shooting 2ft from the basket but to average 20+ PPG and 58% from the field (!!) for a career?? That's absurd. So in terms of greatness, I'd give the slightest of edges to Shaq. If I were to draft a player to start an organization around, it'd be an absolute toss-up. Give me either, and I can build a champion...as long as MJ isn't in the league. 1) 2 finals MVPs, which isn't very few. True, but Duncan has more. You also forgot to mention that Duncan has more MVPs than Kobe, something that speaks volumes considering the two were in the league at the same time AND in the same conference. Also, Kobe has fewer scoring titles than guys like Allen Iverson and Kevin Durant (if memory serves me right) even though he's known as a scorer. 2) Dominance defensively... come on man. We're talking about a guy, Kobe, whose own coach (a Hall of Famer who you forgot to mention coached Kobe as well) said his defense was overrated by the media. I went into that more in an earlier Kobe vs. someone comparison. And not only that but we're comparing Kobe's defense to Tim Duncan's defense!! Per Basketball-Reference, Duncan had the most defensive win shares of any player in the NBA four times - 1998 (his rookie year!! ), 1999, 2001, 2006, and 2007. He also led the league in defensive rating in three consecutive years (05-07) and again just last year (2013)! You already know how many times Kobe has lead the league in DWS and DRtg (zero). I also placed some emphasis in this ranking of measuring a player's value to his team in terms of chemistry (see explanation for why Wilt fell a ton in my ranking). Kobe and Shaq was only the beginning of chemistry issues he caused. There is no question that I would rather build around a guy like Duncan than Kobe. One other thing: you mentioned Kobe had 5 coaches in 8 years. Don't you think there could be a connection there to Kobe (again with the chemistry)? By no means am I saying Mike Brown is a competent coach, but he did coach the 07 Cavs to the Finals. And like you said yourself, another key is consistency. Duncan had it, Kobe did...but not as much. I discussed it in the KG vs Duncan article but "coulda woulda shoulda" only gets you so far (sorry KG). In terms of greatness, it has to be Duncan over Kobe. I kind of get what "Anti Troll" is getting at however I disagree quite a bit with his stance. You stated that the only reason he lead the league in scoring 9/13 seasons so it's no wonder he lead the league so many times? But also forgot to mention #1. When he got drafted by the Chicago Bulls #3, they had to be in rebuilding mode meaning he didn't have too many great teammates so it was clear the Chicago Bulls needed a scorer regardless of how many shots it took. Also failing to mention that sure he lead the league just about ever year but when your shooting on about 50% the shots he was taking were always worthy of being taken. He wasn't just shooting for the hell of it, he is historically one of the most efficient wings ever, and I'd go as far as to say the most efficient combined with the most volume. There isn't one player who even came close to that type of volume let alone with the type of efficiency. And lastly on MJ his stats did diminish as his teams got better but why wouldn't they? If you have a better team more capable players your Usage % is automatically going to go down with added supporting cast. PC? Not hardly. Sadly, your response is typical. People are dismissive of players that came before. You're doing it with Bill. People do it with Kareem, Bird, and Magic. Some are doing it today with MJ. I can argue stats and the like for days on this with anybody, but I'll keep it brief. Russell is THE prototype for the modern athletic center. At 6'10", with Olympic level hops and speed, he could (and often did) start the break with a block, run the floor, and finish at the hoop. As an individual player, Russell AVERAGED over 22 rebounds per game. 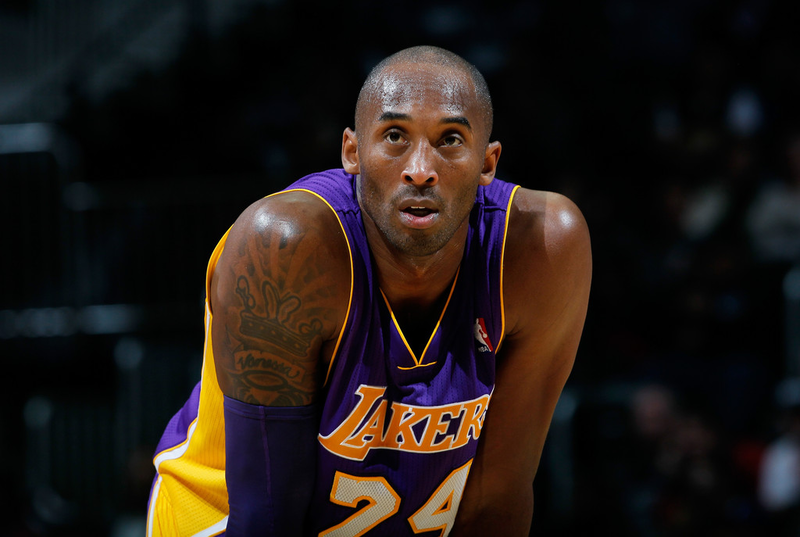 He is acknowledged by most to be the greatest defensive player in the history of the game. There is more to hoops than scoring, right? Also, he finished in the top 10 in the league in assists FOUR times (As a point of emphasis, Jordan only did this once). He added 15 ppg to go along with this superior passing, rebounding, and defense. Now, if you told me you could get team-first, defensive minded, awesome rebounding (Only Wilt and Rodman are in this tier with him) guy that you didn't have to run your offense through for him to score 15 a game, are you going to turn that down? I'd argue I'd find scorers far easier than I'd find someone with Russell's game. But don't take my word for it. A guy that knows a thing or two about titles and coaching all time greats agrees with me. Great call on TD over Kobe. HAHA! This right here is why Shaq was my first favorite player. The dude was a beast on the course and an absolute stand up comedian off the court. I haven't really seen anyone do it with MJ to be honest but definitely agree with regards to some of the old timers. 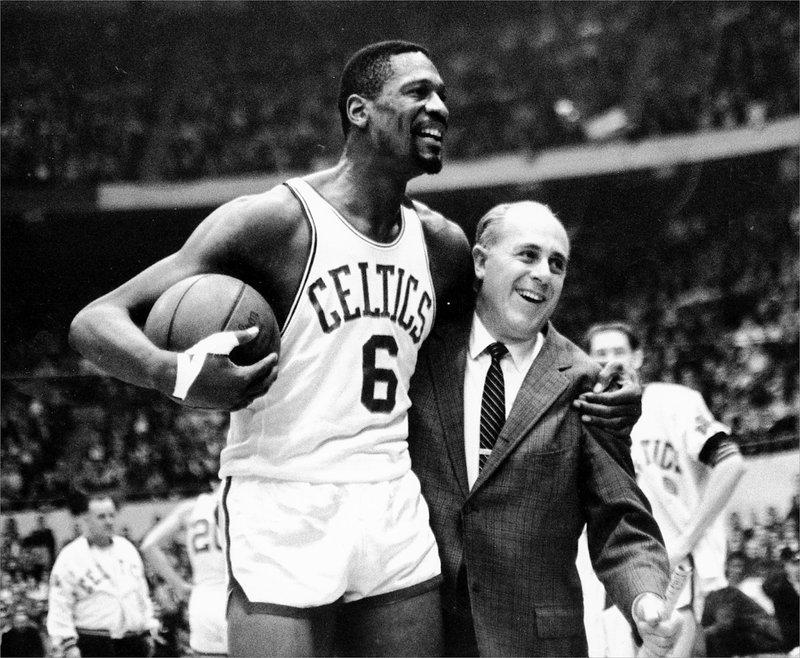 As for Bill Russell, I don't really see how he is the model for current centers 1) because there really is a disappearance of the true center (see Chris Bosh in Miami and Tim Duncan in San Antonio who was a PF coming into the league) and 2) his numbers are all out of whack. i cited some research done where someone converted Wilt's 50 PPG game to today's scoring numbers and it was less impressive than seasons that Kobe and MJ had when they scored sub-40 per game. By this logic, Russell's 15 PPG are particularly unimpressive. This isn't to take anything away from Russell, but I feel he would be FAR less dominant in today's game. Perhaps a better version of Ben Wallace. And in today's game, I would see that building around a well above average center is something more favorable to do than a guard. I say this because like you mentioned there are many more scorers in today's league which gives a GM the opportunity to add a scorer and some role players if they have the rare gem of a good big man. So in the end you can build a more complete squad if you can build around someone like, say, Anthony Davis. We can agree to disagree. Russell has the distinct disadvantage of not being great at the numbers everyone sees, which is scoring and shooting. Still, when polled in 1980, the Pro Basketball Writers' Association of America named him "the Greatest Player in the History of the NBA," better than Wilt Chamberlain, Elgin Baylor, Oscar Robertson, or Bob Cousy. When Wilt had his 50 ppg year, Russell won the MVP. I think its important to bring up that back then the players voted for the award. I actually respect that you recognized that a guy with that many accolades without gaudy offensive numbers in your top 10. I do feel that you, and others, discount defense, blocks, and rebounding far too much. Russell's Celtics invented the modern fastbreak and small ball game. It played to his strengths as a rebounder and outlet passer. I'd contend he'd do better in today's game specifically because of the lack of Centers today. Your right about the Davis thing. We know it works, because the Celtics proved that building around a defense first Center won big. Fair enough. It seems like we agree on the majority of things which is pretty good as it is. I definitely did not expect as much agreement with my rankings as I have seen so far but perhaps it has to do with the style of article which I haven't really seen for a GOAT article. Out of curiosity, what would be your ranking, R.T.? I'm old school in my thinking, and believe a solid big should anchor your team. Historically, that has always been the case, with only a few exceptions. If you factor in degree of difficulty, Jordan could drop to 4th place. But, I couldn't in good conscience do that. I disagree with Jordan at #1 for several reasons. He never beat the Celtics with Bird on the team. Even when he was entering his prime in '88 (MVP, DPoY) he couldn't beat the Pistons until they got old. Plus, he only beat one team out of 6 with a Championship Pedigree, and LA was also old and without Jabbar. Jabbar won a title with an expansion team in his second year. I contend that the teams in the 80's had it far, far tougher than MJ's 90's Bulls. In the 80's, there were 4 teams with Championship Pedigrees that had to beat each other for the ring. Especially in the East. Individually, Bird and Magic had to beat each other, Dr. J, and Moses Malone, to win their MVPs. Jordan's main rivals were Barkley and Karl, who while excellent players weren't of the same pedigree as those other guys. That's not a dig, though. We're splitting hairs here. IMO, if you built your team around any of the guys on this list, you'd be happy and would win multiple titles. He will pass Bird's totals, as Bird only played for 12 seasons, and the last 4 were worse when his back was bad. Still, Peak Bird is as good a player as has ever played the game. Peak Bird takes a back seat, offensively and defensively (yes, DEFENSIVELY) to nobody. At his best (3x MVP, 2x FMVP) his numbers were 27/10/7/2/1 on 51/40/90 splits. He played in a more competitive era (as far as teams, stars and opposing SFs), with a lower usage rate than most superstars. One could also argue that if he wasn't injured in the 85 playoff, he would've probably take another ring and FMVP. Even with the 4 "bad" years, he's the only 20/10/5 guy in NBA history. Offensively, NOBODY had his all around game. Nobody. Also, Larry is so underrated when it comes to D. If he played in this era where people go crazy over advanced stats, he would be praised like crazy. The Celtics were one of the worst defensive teams in the league before he was there, year he arrived, with essentially the same team, they become one of the best. Bird led the league in DWS 4 times (first time was his rookie year - Pre McHale and Parrish), was Top5 7 times, #2 in DRtg in '84, was Top6 6 times. LeBron hasn't touched those metrics. LeBron is more athletic and a better on ball defender, but really that's it. I like that you put Jordan at the top without really much of discussion, but I think this needs to be brought up. In my opinion, a player should be judged by what they do for their TEAMMATES, not for themselves. Where a transcendant player differentiates from a good player is his ability to find open teammates for shots, not take hero shots himself. As God says, "do onto others, not onto yourself". MJ averaged 5 assists a game for his career, and less than that later in his career, while firing away and firing away at the hoop. You see his big dunks and fade-away Js, but you don't see the many of those that he missed, while an open teammate of his couldve had a much higher-percentage shot. That is why Rondo, not CP3, is the best point guard in the league. His ability to find open teammates, especially considering how bad his teammates are, is second to nobody. Why isn't John Stockton on this list? He had over 15,000 assists!!! That means that his teammates scored at least 30,000 points directly because of his willingness to PASS them the ball and give them an open shot. Karl Malone gets the hype, but he got all of his points courtesy of Stockton. It's a bit upsetting that only ONE of top-10 all-time in assists is on your top-10 list (Magic). To have somebody like Jordan or Kobe, who just chucked and chucked and chucked, ahead of guys like Stockton or Jason Kidd is just laughable. This is where I have the most respect for players like LeBron, Magic, Bird... These guys could score just like Jordan/Kobe if they wanted to (I mean just LOOK at LeBron!!! ), but they take the time to find their teammates instead. These guys are true CHAMPIONS, and have 10 rings between them. I think that just like how Monta Ellis and Allen Iverson have been dismissed by the new analytics era as high-volume chuckers who don't help their team, the same will happen soon to players like Jordan, Kobe, Shaq, Kareem, and others. I'll be honest, at first when I saw you put Kareem at No. 1 I thought you were absolutely crazy. But reading your reasoning, I can see the argument for him. MJ played 1000 games while Kareem was at 1500. That's a HUUUGE difference. Degree of difficulty should definitely factor into this discussion - and I did mention it when talking about Hakeem who had the misfortune of playing in the same era as MJ. I'm going to have to do some more research on Kareem's era and MJ's era for a 2015 greatest of all time article because you might be on to something. It really comes down to how you define greatness, and I think MJ often gets the nod simply because of what he did for the game. But as I'm sure you would argue (and I agree as per watching the Magic & Bird documentary), those two did more getting the league out of the cellar than Michael did. Michael has just reaped the profits (literally) of that fact a lot more than Magic and Larry. I haven't done any follow-up analysis but that original piece you can see the pass-first generally do better for their team. As for John Stockton...there's no way he's on this list. This is a discussion of greatness and there is no argument to be had that a top-10 GOAT can have no rings. None. Also, keep in mind, I didn't have Kobe in my top-10. As for calling Michael Jordan a chucker... he was a career 50% from the field, that is most certainly not a chucker. Shaq a high-volume chucker? The dude shot nearly 60% from the field in his career. Kareem? Similar things. You have a good initial point, but you made it too extreme to the point where makes no sense. I completely agree. I really wish there was another guy like Larry Bird in the league today but I can settle for a superstar who idolizes him (Kevin Durant). The tenacity with which Bird played the game with was great and he was also one of the greatest trashtalkers. One quote I just found that I love is when he was at the 3pt contest: "“I want all of you to know I am winning this thing. I’m just looking around to see who’s gonna finish up second." And this from Dennis Rodman has been my absolute favorite: “I would be all over him, trying to deny him the ball, and all Larry was doing was yelling at his teammates, "I’m open! Hurry up before they notice nobody is guarding me!" then he would stick an elbow in my jaw and stick the jumper in my face, then he would start in on my coach "Coach you better get this guy out and send in somebody who’s going to D me up, because its too easy when I’m wide open like this." "
The field goal percentag doesn't matter as much as assists do, because an open shot has a FG% of 80%+. I'm sure that many of the times that Shaq was in the deep post trying to dunk and getting double teamed, there was a wide open teammate on the wing ready to nail a 3-pointer. So, Shaq should've PASSED. Judging by his career 2.5 apg, he barely ever did. I read in one of your artikles that rings are the legacy of a TEAM. Is it Stockton's fault that his team was bad and that he lost in the finals to a high-volume overrated chucker? NO! And Jason Kidd does have a ring... where is he on your list? As I said, the analytics era (esp Hollinger, Goldsberry, etc) have already proven that great passers are worth 10x more to their teams than chuckers like Ellis, JR, Iverson, Kobe, Carter, etc. Soon enough they'll prove that Stockton is the best player ever. I'm beginning to question your username. 80%+ ... where did you pull that number out of? Any shot in the deep post is worth more than an open three. Kirk Goldsberry, who works with Harvard and Grantland, wrote about this a bit in his latest article there discussing a new stat. I'm not gonna lie I'm laughing think Shaq should've passed when he was deep in the paint. To who...Rick Fox or Derek Fisher for three? And 2.5 APG is actually not too bad. Can you name a single center with more than 5 assists per game? Also, I'd like to see some sources on great passers being worth 10x as much as chuckers. Stockton, Kidd, Nash, Mark Jackson. Three of the greatest passers of all time. Take a guess how many rings they combine to have. What does this prove? Passers are often great complementary players but not necessarily "great." They need players to hit shots and as such passing only gets you so far. How many rings does CP3 have or even Finals appearances for that matter? Answer: none. LOL you're comparing Steph Curry to the average NBA player?? Man, as a Warriors fan I find that particularly insulting. That guy is one of the best shooters this game has seen. Last time I checked, none of the guys you mentioned had teammates like that. I think it's important to note there's a difference between the best player (ability) and the best career (accomplishments). I like this assessment very much, but I believe you made a gross mistake in saying Lebron's leadership is "exactly what you want to build around." Was this true when he quit on his team 2 years in a row in Cleveland? James is def climbing the ladder, but his leadership is still evolving from being very questionable just a few yrs ago. And for those of you who believe that Kareem's sky-hook was unstoppable, just go to the archives and watch an old, post knee surgery Chamberlain swat it away. That guy was scary good, albeit his ego kept him from achieving even more. Great comment, Geoffrey, and you bring up a point that I talked about in responding to another reader's thoughts on this debate. I do continue to make the distinction between "greatest" and "best" players because there is a difference. Kobe is "great" with all of his rings but I don't think he fairs well in terms of the "best" players of all time. LeBron James did not quit on his teams two years in a row, not sure what you're referring to there. I am glad you didn't mention him leaving Cleveland for Miami. It's laughable that people (namely MJ and Kobe fans) discuss LeBron leaving as a sign that he isn't great. The fact of the matter is that MJ and Kobe already had talent in Chicago and Los Angeles. Cleveland is, well... Cleveland. Anyway that's a bit off topic but only mildly so. I gave a lot of reasons why Wilt is not as high as you ranked him here. I also am particularly confident in this ranking because he is a perfect example of one of the "best" players not being that "great" in the sense that his faults in terms of lack of championship desire, desire to boost stats, and other things I discussed in my segment on him hurdle him down the ladder (although still in the top-10 with room to spare). You mentioned that Shaq, Duncan, and Kobe played in weaker leagues and that is not true. I cited a piece that compared the best scoring seasons of Kobe's (35ppg) and Wilt's (50ppg) and you could clearly see that Kobe's is more impressive when adjusted for pace. Obviously, I'm not saying Kobe is greater because he was essentially an elite scorer, but when you look at the league back then compared to how it is now, you really need to keep that in mind. 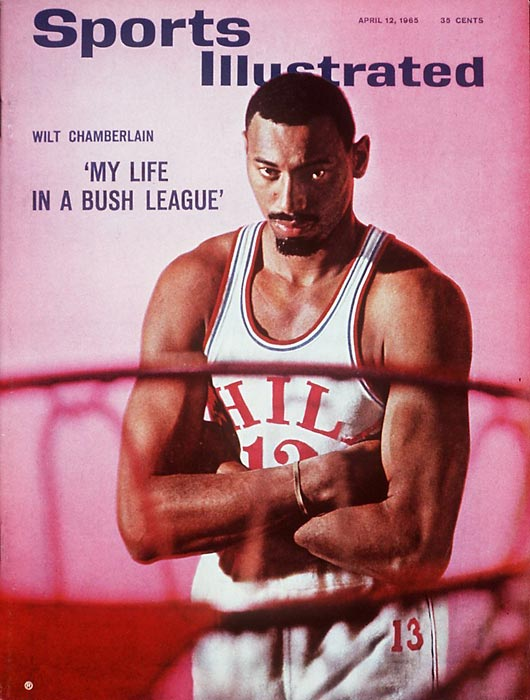 As for Wilt, there's no doubt that guy was a freak of nature. He and LeBron both have to be no. 1 and no. 2 in terms of craziest athletic ability on the basketball court (and in general). on every list Shaq is over kobe why is tht? Kobe and Shaq won 3 rings together and Shaq won an MVP during one of those years (00) and also won the Finals MVP for all three of those championships. This is the main reason, among others.